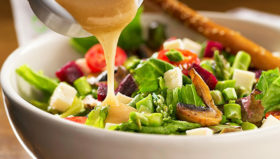 Is Your Salad Dressing Sabotaging Your Salad? Stay updated with the latest news on health care innovation and wellness! You may be eligible to apply for an affordable health plan today. Get Medicare plans from Independence. Health Insurance Covers 100 Percent of Preventive Care….But What Is Preventive Care? Family doctor, Urgent Care, or ER?